Having a bug tracking system is extremely valuable in software development, and they are widely used by companies developing software products. Bug and issue tracking systems are often implemented as a part of integrated project management systems. Such an approach allows to include bug tracking and fixing in a general product development process, to fix bugs in several product versions, automatic generation of a product knowledge base and release notes. Today we’ll show you how to deploy and install one of the most popular issue tracking product, which is used for bug-tracking and project management by 14,500 organizations in 122 countries around the globe: Facebook, Twitter, LinkedIn, Adobe, ebay, Apache, JBoss, Spring Framework, Zend Framework, Hibernate, Fedora Commons, Codehaus XFire, Skype, and many others. BTW we also use this great product. 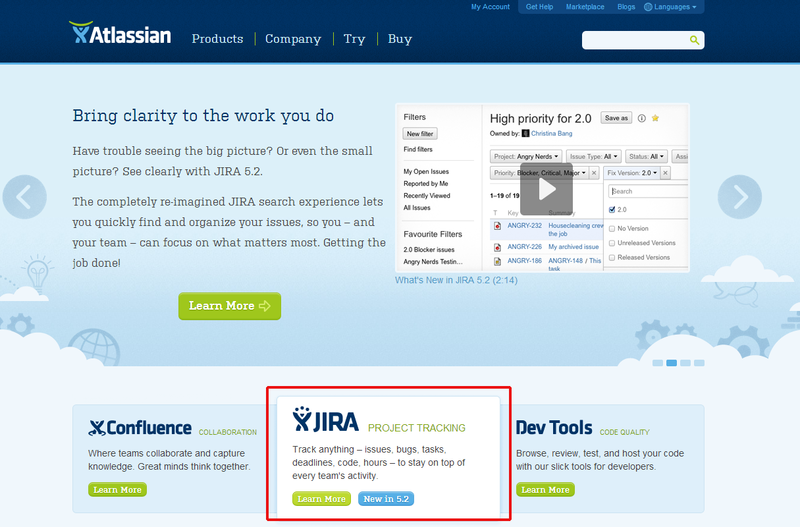 It’s JIRA, a proprietary issue tracking product, developed by Atlassian. You can use it to easily capture and organize your issues, prioritize and take action on what’s important, and stay up-to-date with the activity going on around you. Also there is a possibility to customize JIRA’s workflow to match the way your team works. 2. Ask Jelastic to create a new environment. In a minute the environment with both Tomcat and MySQL will be created. 1. 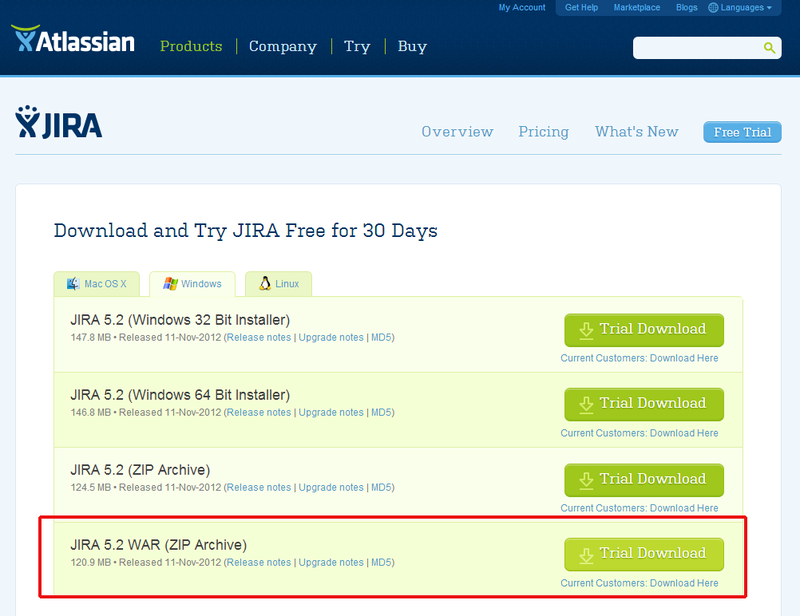 Navigate to Atlassian web site and download the latest Jira version (trial or full version). 2. Extract files from zip package you have just downloaded. 3. Run build.bat (for Windows) or build.sh (for Linux/Solaris) to build the WAR file. 4. Upload your Java package to the Deployment manager. 5. Once the package is in Jelastic dashboard, deploy it to the environment you have just created. 1. 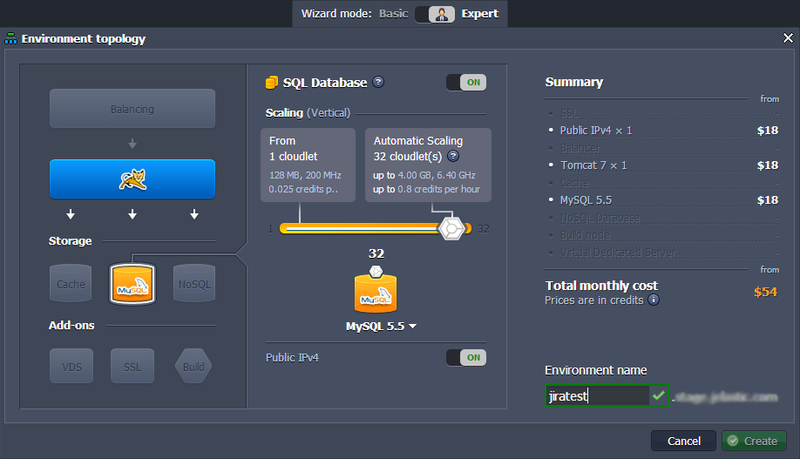 Switch back to Jelastic dashboard and click Open in browser button for MySQL. 2. When you created the environment, Jelastic sent you an email with credentials to the database. Use these credentials to create a new role with all privileges. 1. Switch back to the Jelastic dashboard and click Config button for Tomcat. 2. 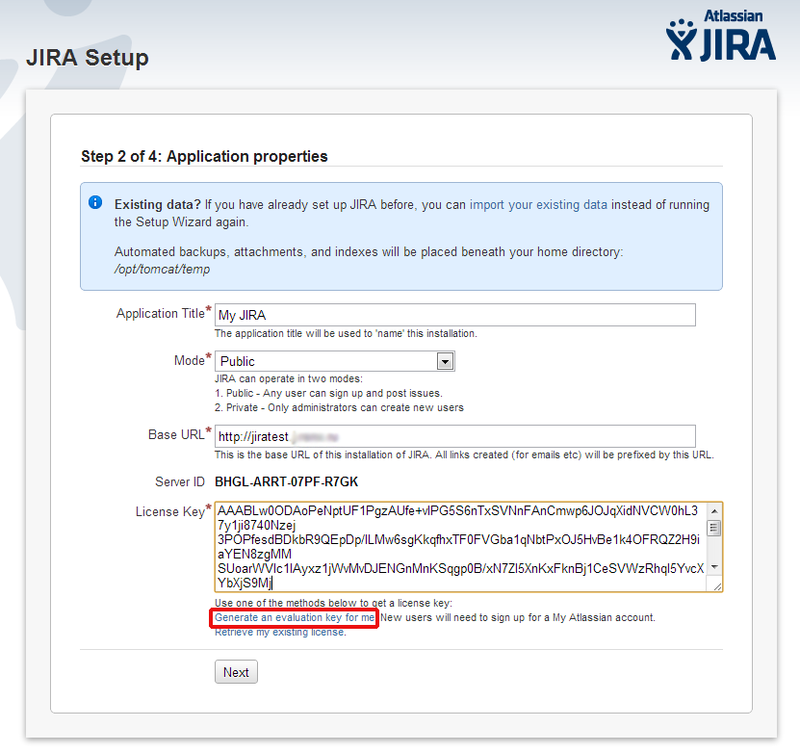 Specify the location of your JIRA Home Directory: edit webapps/ROOT/WEB-INF/classes/jira-application.properties and set the jira.home property to your JIRA home directory. 3. 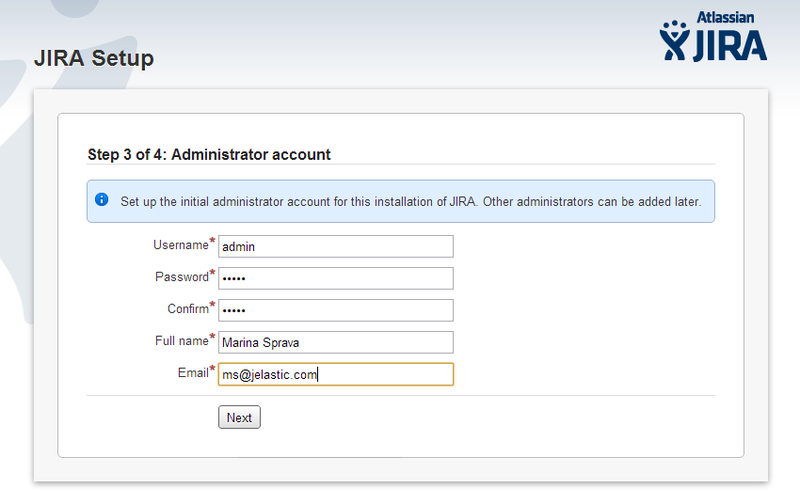 Your Tomcat installation requires an appropriate JDBC driver to allow JIRA to communicate with MySQL database. 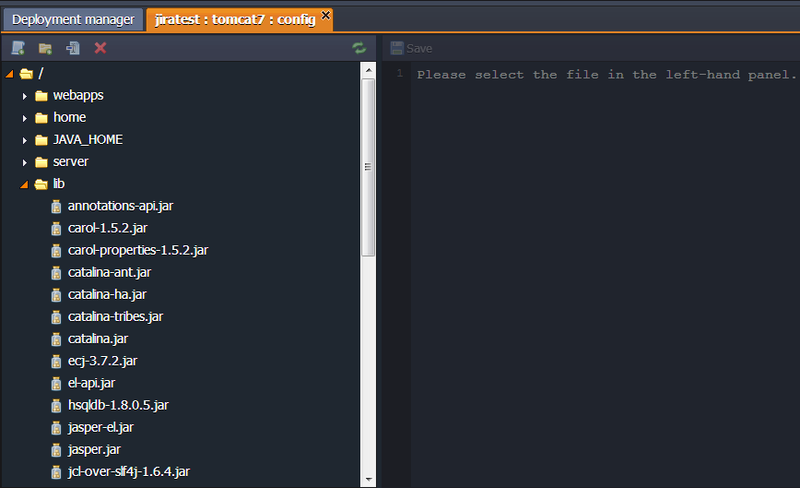 Upload MySQL connector to the lib folder of Tomcat. 4. 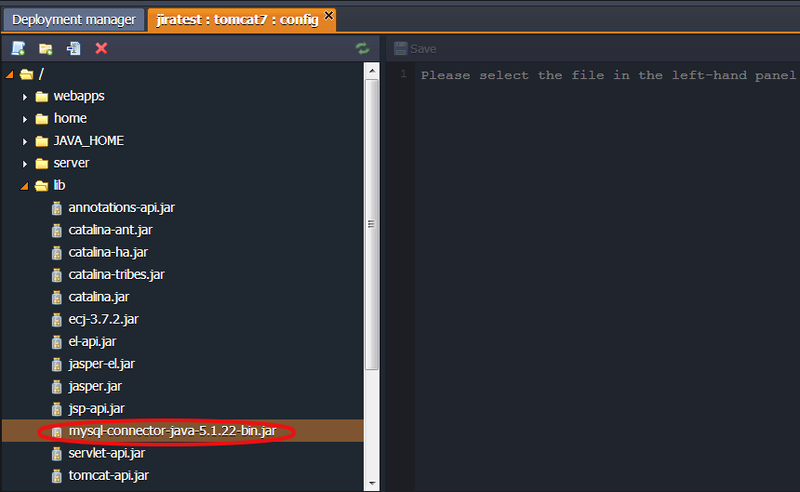 Tomcat does not include some libraries required to run JIRA. To fix this, download the relevant archive for Tomcat 7, extract and upload the .jar files from this archive to the lib directory of your Tomcat. Save all changes and restart Tomcat! 1. Open your app in a web browser and you’ll see Jira setup wizard. 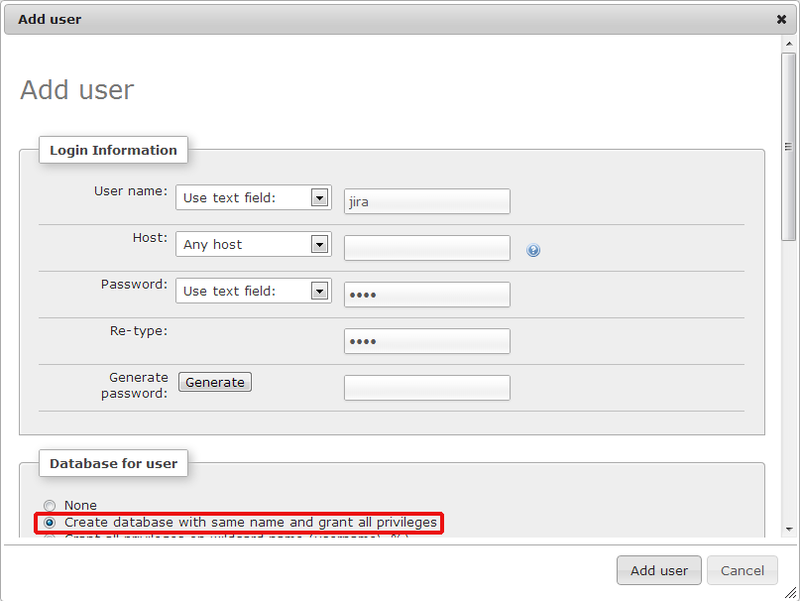 Select the type of the database connection (in our case it’s external) and enter your database type, hostname or IP address, port number, the name of your database, database username and password. Test the connection and click Next. 2. Specify your application properties. Note: you need a license key for Jira installation, click on Generate an evaluation key for me, log into your Atlassian account (register if you have not done this before) and generate the key. 3. Set up the initial administrator account. 4. Set up the connection to an outgoing mail server or you can skip this step and do this later. 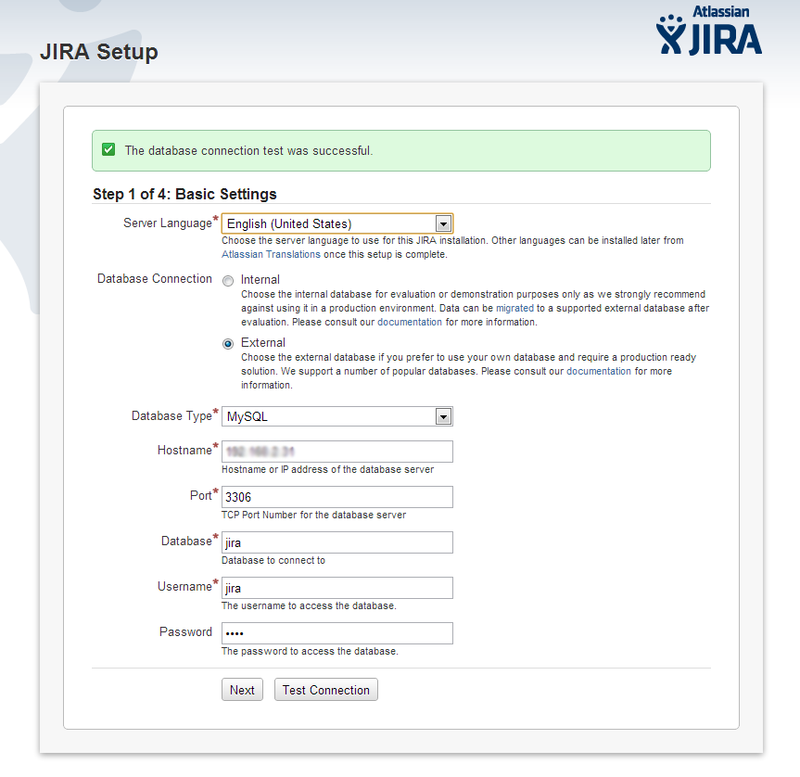 Now your Jira is ready for use. Enjoy! 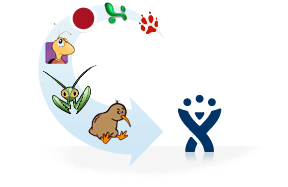 Thousands of teams choose JIRA to capture and organize issues, work through action items, and stay up-to-date with team activity. Using JIRA and Jelastic is the easy way to help your team to track and deliver projects in the cloud, just give it a try.